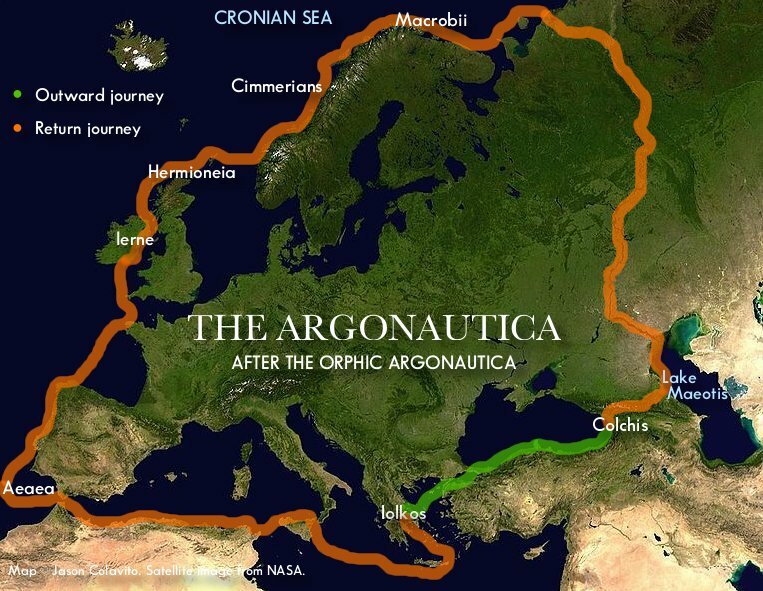 The Argonauts' route from Greece to Colchis is, with few exceptions, remarkably consistent across the Greek poets and historians. 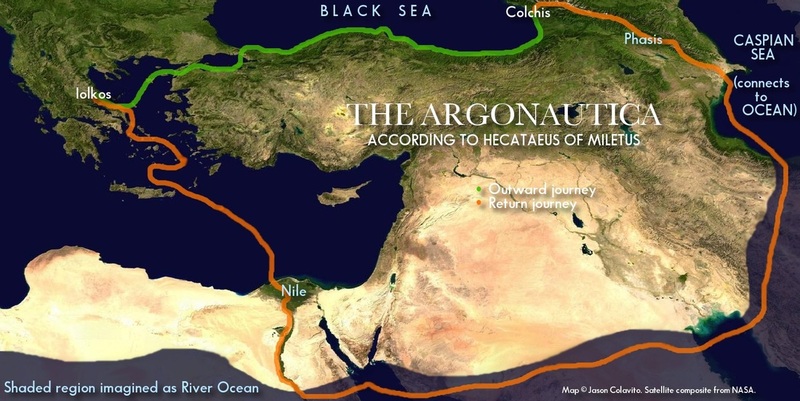 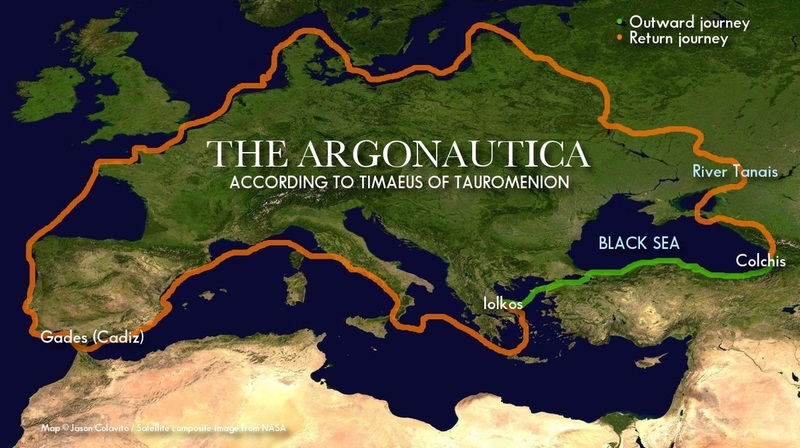 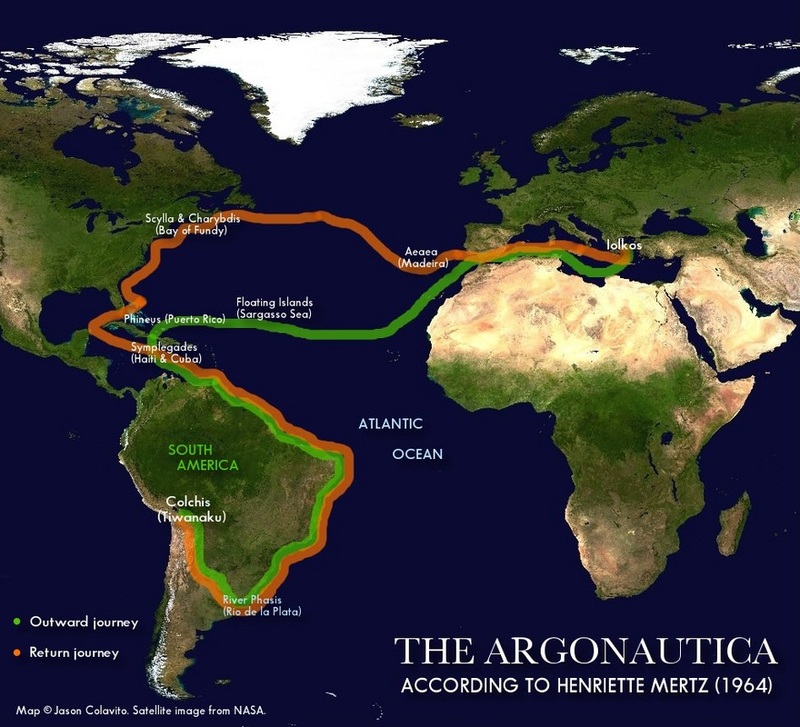 By contrast, the Argonauts' return route has been the subject of a bewildering array of interpretations, largely due to the changing Greek understanding of geography and the complications greater knowledge caused when trying to map a myth developed in an age of ignorance onto real terrain that rarely matched the speculation of the ancient bards. 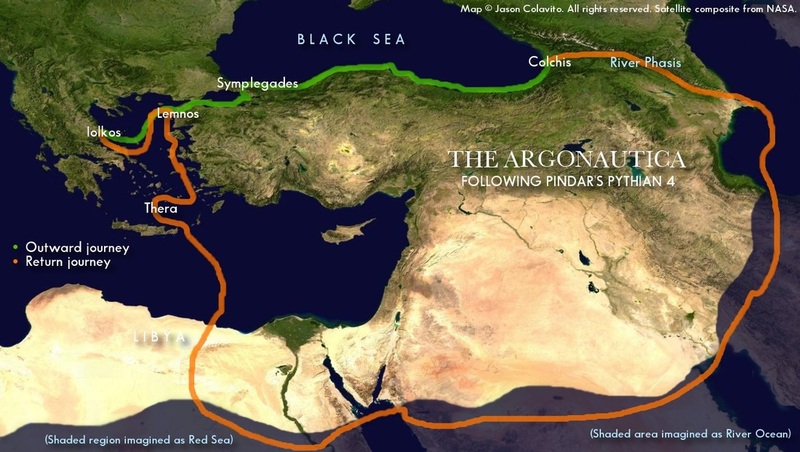 Below are a few of the many interpretations of the Argonauts' return route, beginning with the classic route as given by Apollonius, followed by many earlier and later variants. 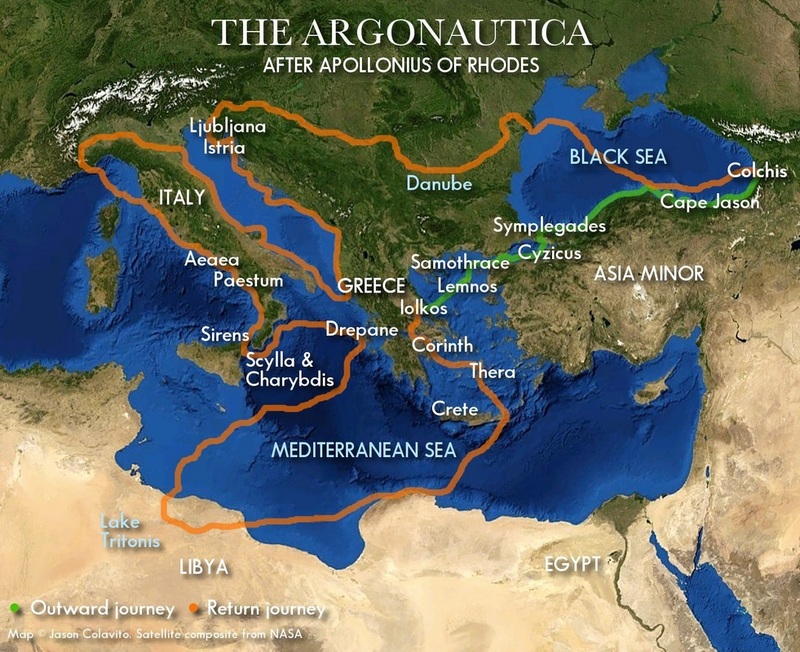 Map from William C. Morey, Outlines of Greek History (New York: American Book Co., 1903).